Belif is a brand I keep coming back to again and again, and I’ve recommended their products several times, yet somehow I don’t have an overall brand review of them up on the blog yet (there is this review of the Belif Chamomile Tincture though)! Time to remedy that, stat! Belif is a Korean beauty brand that has made it quite big here in the US — you can find featured prominently at Sephora — and they have consistently well-formulated, high quality products, that are quite reasonably priced as well. Their products contain a unique blend of soothing and healing herbs, and many of their products have a similar signature herbal scent. You may have noticed the word “Napiers formula” appearing on their packaging. This refers to the fact that Belif products are based on herbal formulas developed by Duncan Napiers, a prominent Scottish herbalist who first opened a healing herbal shop in 1860 in Edinburgh. I love how this story goes from Great Britain, to Korea, and now back to the US. Truly a global brand, Belif also promises to be a “true” skincare brand. That is, they use truthfulness and transparency in their ingredients as well as in sourcing their ingredients. While I haven’t done any digging into their claims of truthfulness, it’s a pretty great mission statement to have as the flagship of your brand. Belif USA was very kind as to send me several products to try out and review, but I’ve also purchased many of their products and will no doubt continue to do so. Some of the products in this review were gifted by the brand, indicated by an asterisk (*). There are affiliate links on this page. Purchasing through an affiliate link may generate a small commission that helps support this blog, without any additional cost to you. The Belif Moisturizing Bomb is one of Belif’s best selling products and I’ve purchased it in addition to receiving it as a review sample. It’s a lovely “creamy” cream with an herbal scent that spreads out very silky on the skin with a nice amount of slip. I find it to be one of those creams that I just like to keep to fall back on when I get tired of product testing new creams — it’s a comfort zone, and a really good one at that. It doesn’t make my face sticky or greasy, but it gives it enough moisture to prevent me from waking up with dehydrated skin. The Belif Moisturizing Bomb features anti-inflammatory comfrey leaf, as well as the proprietary Napiers herbal formula to comfort and moisturize skin. Unless you have a lot of allergic reactions to herbs, I would say this is great for many different skin types from normal/combination to dry. I like to mix in a drop or two of facial oil if I need an extra boost. This little 5ml trial size of the Belif Moisturizing Eye Bomb is actually a great size for me as I have hardly ever finished an eye cream. Not because I don’t think I should, more because I’m lazy. When I do use it though, I like to reach for the Belif Moisturizing Eye Bomb, a really refreshing and hydrating gel eye cream. I don’t have any major fine lines or wrinkles around my eyes yet (at 35), so I don’t know how well this would work for those, but for hydrating and slight firming and plumping, I love this refreshing eye cream. So. Many. Good. Products! Belif is still going strong with the Belif Witch Hazel Herbal Extract Toner. I normally think of witch hazel as being astringent and more suitable for oily or blemish-prone skins, but the Belif Witch Hazel Toner is actually a very plush, hydrating, essence-like toner that would be great for dry skin (and really, all types of skin). It has a milky translucent texture, and I love how quickly it absorbs and plumps up my skin without feeling heavy or sticky. I’m honestly a little bit obsessed with how good this toner is, and highly recommend it for all skin types. It’s also pretty affordable at $28! The Belif Classic Essence Increment is an interesting product, and to be honest it took me a while to work into my routine. The product itself is kind of a thin white lotion texture, but upon applying it, it feels quite rich without heaviness or thickness, if that makes any sense. I love the name itself, “Classic Essence Increment” even though I have no idea what it means, haha, and the product itself is a bit difficult to pigeonhole. Is it an essence? A rich serum? An emulsion? A light moisturizer? I think it can be all of the above. 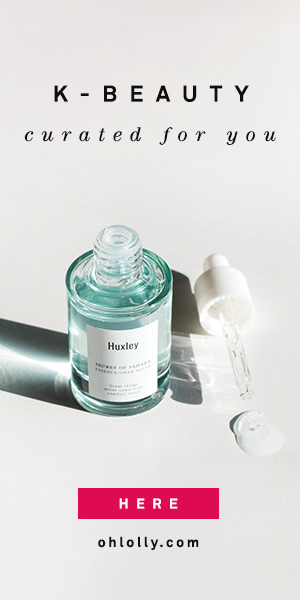 Depleted, dry skin will particularly like using this as an extra layer (use it after thinner serums and under a cream) as it feels highly nourishing and is designed to improve the elasticity of the skin. My skin does feel very moisturized and soft when I use this; in fact it’s almost too much when I layer it with a lot of other products on my combination skin. I will warn you that it feels a bit tacky until it dries down completely, so I would recommend using a light moisturizer or primer on top. The Belif First Aid Peel-Off Mask is a very innovative and interesting product. I purchased it on a whim when it was bundled with another product (the Belif BB cushion) on an Ipsy offer. It’s a light gel mask that you spread over your face and allow to dry (it feels quite refreshing). Then, you rinse it with water, and the mask turns into a gel texture that you can then peel off. I appreciate that it’s easy to peel off as peel-off masks go (so often they feel like they’re ripping my skin off). My skin did feel a little softer but I didn’t see a huge transformation. I’m just not really a peel-off mask kinda gal, so I don’t reach for this as often as I’d like. Still a really innovative product though. I mustn’t forget to include the Belif The True Tincture of Chamomile, which is still one of my favorite products! It’s such a gentle, calming, and yet nicely hydrating essence! It contains 86% chamomile extract, and I LOVED it. I may need to pick another one up one of these days; it’s honestly one of my favorite products featured on this blog. The full review of this lovely essence is here. Belif is one of my favorite Korean beauty brands and it’s easy to see why. Out of all the products I’ve tried, I loved several, while only a few didn’t quite fall into the category of what I needed. I would not hesitate for a moment to repurchase the Moisturizing Bomb, the Moisturizing Eye Bomb, the Witch Hazel Toner, and the Tincture of Chamomile. I think they make dependably good products for a pretty reasonable price point, with high concentrations of high quality herbal ingredients. If I had to pick my favorite…it would be The True Tincture of Chamomile…there’s just something so refreshing and skin-quenching about it. I hope you get a chance to try their products! Have you tried Belif products before? What did you think?